Many people know about the medical benefits of cannabidiol (CBD), a cannabinoid found in marijuana. But it turns out taking CBD alone may not be the most effective way to get those benefits, writes Joseph Misulonas. A study conducted over a four year period in Brazil examined how CBD helped patients with epilepsy. As with many other studies on the subject, the researchers found about two-thirds of people with otherwise untreatable epilepsy showed signs of improvement when given CBD. But more interestingly, they found that patients who received CBD that included amounts of other cannabinoids such as THC were more likely to show improvement than people who received pure CBD with no other amounts of cannabinoids. 71 percent of patients who received CBD extracts that contained small amounts of other cannabinoids showed improvement, compared to only 36 percent of patients who received pure CBD. This study would seem to prove the idea of the “Entourage Effect,” a theory among cannabis enthusiasts that all the different cannabinoids in marijuana work together to produce the ideal effect. For instance, the presence of CBD in marijuana helps temper some of the psychoactive effects of THC. But the Entourage Effect was mostly hypothetical and there wasn’t any real scientific research backing up until now. This research is particularly noteworthy because some states without legalized medical marijuana do allow for CBD medications that contain little to no amounts of THC for people with severe cases of epilepsy. This study would suggest that those medications are not as effective as ones that do contain a stronger presence of other cannabinoids. Cannabis vape pens can be found in several dispensaries across Vancouver. But after October 17, cannabis concentrates and vape pens will not be allowed. Vape pens allow cannabis users to ingest concentrated extracts from the cannabis plant. Cannabis concentrates usually consist of THC extract, or the less psychoactive component, CBD. They are sold in either liquid form or a waxy substance. Vape pens are portable battery-powered devices.They are easy to use, do not produce any smoke and emit little odour. “There’s also this perception that these vape pens for cannabis give a cleaner high because you aren’t inhaling burnt plant matter like you would if you were smoking a joint,” On the Coast‘s Greenlit columnist Rohit Joseph told host Gloria Macarenko. But the government has not yet found a way to regulate these products. But there are some potential benefits, says Milloy. Getting a specific dose of cannabis is much easier with vape pens than by smoking it. A California-based company called dosist legally manufactures vaporizing products. But while the company has an office in Vancouver, it only sells its products in California due to current regulations. “If the government’s mandate is to protect children and stamp out the black market, this is the single biggest gift that the government could give the black market. To allow for certain forms of cannabis, and not all,” said Josh Campbell, president of dosist. Campbell says the black market will move away from selling the cannabis flower, and begin creating oil, which has much higher value and concentration. Because concentrates are unregulated, the black market will have an opportunity to make money off of them. In the California legal market, nearly a quarter of sales in 2016 were for cannabis vape cartridges, according to marijuana delivery service Eaze. In Washington state, dry bud sales fell to 61 per cent from 87 per cent in just two years of cannabis vape cartridges being available. Campbell says he would not be surprised if cannabis vape pens and other concentrate products surpass the dry bud market within five years of recreational legalization. In the meantime, those purchasing concentrates will be taking a risk, says Joseph. Consumers will have no assurance of what is in the products until they are regulated. Hydroponics, robotics, high-powered lights — growing weed on an industrial level is a serious business. But according to one local independent grower, getting cannabis to flower is as simple as tending to a house plant. Tom Neumann, who has a medical licence to grow and consume on his farm in Ardrossan east of Edmonton, thinks anyone who is curious should give growing a shot when it becomes legal on Oct. 17. Each household is permitted to grow four plants. Neumann, who recently left the construction business, got a federal licence three years ago to treat arthritis and back pain. His wife also got a growing licence after she was diagnosed with cancer, and the couple started experimenting with oils that helped her through chemotherapy. She has since finished her treatments and recovered. Neumann’s son also obtained a medical licence and grows on the family farm. Neumann has signed on as a designated grower for a young terminal cancer patient in the community. Together, the family is legally allowed to grow 38 plants on the farm, where Neumann took StarMetro through his process. He said anyone can get started for $100. He starts growing seeds indoors under 400-watt high-pressure sodium lights, which he estimates add about $20 to his monthly power bill. Seeds are available at head shops, although it is currently illegal to grow them at home unless you have a medical grower’s licence. At Jupiter on Whyte Ave. in Edmonton, packs of five can run for as low as $40 while a three-pack can go for up to $150, depending on a strain’s genetics and popularity. Neumann starts each seed in its own pot and, in general, he says the bigger the pot, the bigger the plant. He prefers planting each seed in three- to five-gallon pots in soil with a peat moss base that is enriched with compost from his farm that consists mostly fruit and vegetable scraps. Tom Neumann tends to some young cannabis plants at his legal home grow operation on Thursday near Ardrossan, Alta. It takes two to nine months from seed to harvest, depending on the strain, watering four times a week with grow lights trained on the plants for 12 hours a day. Weather permitting, Neumann prefers to move the plants outside after six weeks, allowing the plants grow taller. Outdoor plants can produce as much as 10 times the yield of an indoor plant. His biggest plant right now stands at about five feet, but he expects it to grow as high as nine feet and produce a kilogram of pot. The plants are cut down before the buds can flower and are hung up in his cool and dark basement to dry. “You don’t want it too humid, you don’t want it too dry,” Neumann said, adding it’s important for growers to check them every day and feel the buds. 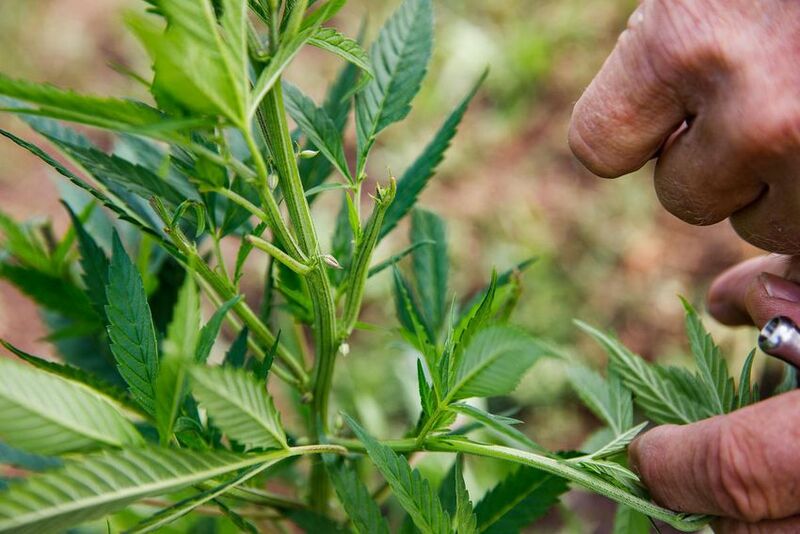 Some growers say the leaves and buds can come off the stalk once the branches are dry enough to snap, but he personally prefers to cut it before they get to that point. Curing comes next, which is done in sealed glass jars, and the weed is periodically “burped,” meaning the cap is unscrewed for an hour to let out humidity and gas and “get rid of the stinky stuff you don’t want.” He does this every day for the first week, and every third day for the next two weeks. His 38 plants can produce up to 20 kilograms of marijuana a year. He has a workshop in a shed for indoor growing, and a fenced-off area at the back of his vegetable garden for the outdoor plants. Finding the right care regime depends on each individual plant and its environment, as well as the grower’s preference. Tom Neumann talks about some of his methods for growing cannabis at his legal home grow operation on Thursday near Ardrossan, Alta. “It’s practice. It’s like growing tomatoes,” he said. “If you plant the first seeds and they don’t grow, then next time they grow because you did it a little different. But it’s not difficult.” Growers can use cuttings of plants — called clones — instead of seeds, but Neumann said it’s trickier because a clone will put roots down from the side of a stem and grow sideways. In six weeks, Neumann plans to launch an interactive web series called the “Grow Show” that will teach people around the world how to grow. He will live-stream the one-hour show on his website three times a week at 4:20 p.m. PT, a sly nod to 4:20 p.m. on April 20, the time and date that many Canadian pot enthusiasts set for a synchronized smoke. He is already offering tips and promoting the show through Twitter. Neumann has a two-year plan for his web series that will take people all the way through extracting oils and making edibles — a process that can be dangerous. There have been recorded cases in the United States where homes have caught on fire when residents tried to make their own concentrates using butane as a solvent. Tom Neumann shows a male cannabis plant at his legal home grow operation on Thursday near Ardrossan, Alta. Some are nervous over the prospect of homegrowing altogether. Realtor Darcy Torhjelm said homes that have been illegal grow-ops, where residents used hydroponics and additional electricity, often have rampant mould and mildew growth from the humidity and can be hard or impossible to resell. 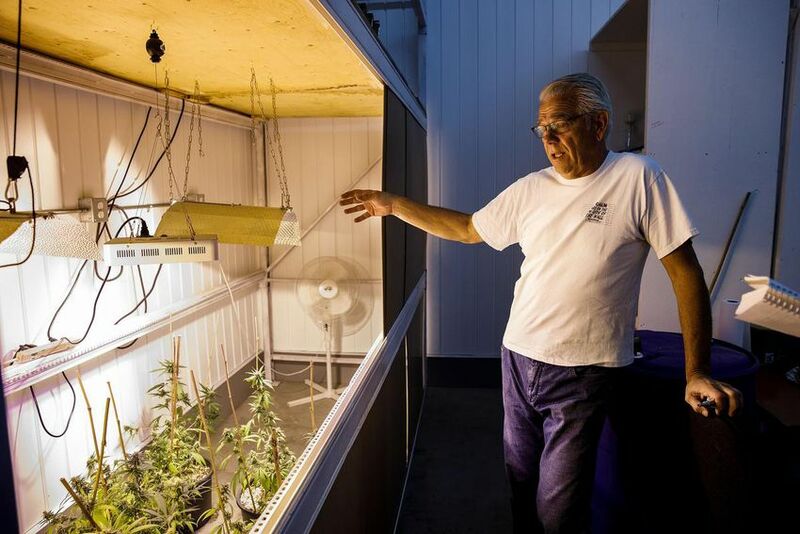 While those grow-ops often had hundreds of cannabis plants intended for illicit sales, he still has concerns that even four-plant houses could cause problems for buyers and sellers. Anand Sharma, president of the Canadian Condominium Institute, shares some of those concerns. He said it’s possible some condos will ban growing, but it would require 75 per cent of owners to agree in writing to a bylaw change. According to Service Alberta, landlords can choose to prohibit the growing of cannabis in rental agreements, meaning many low-income residents could be shut out. But Neumann said the homegrown debate is way overblown. 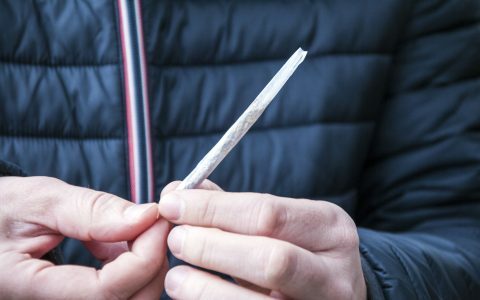 Since buying weed will be easy once it’s legal, some have speculated the market will be oversaturated by licensed producers and retail shops in October. As far as Neumann’s concerned, homegrown pot is superior to mass-produced cannabis, because the latter will be packaged, shipped and stored which could compromise its freshness and potency before it reaches the consumer. Prohibitionists say it brings crime and impacts home values, among other things. Cannabis lovers say it’s their right to grow their own medicine. Wherever legalization arrives, home growing, along with edibles, is always among the most contentious topics. Conservative communities worry about odors. 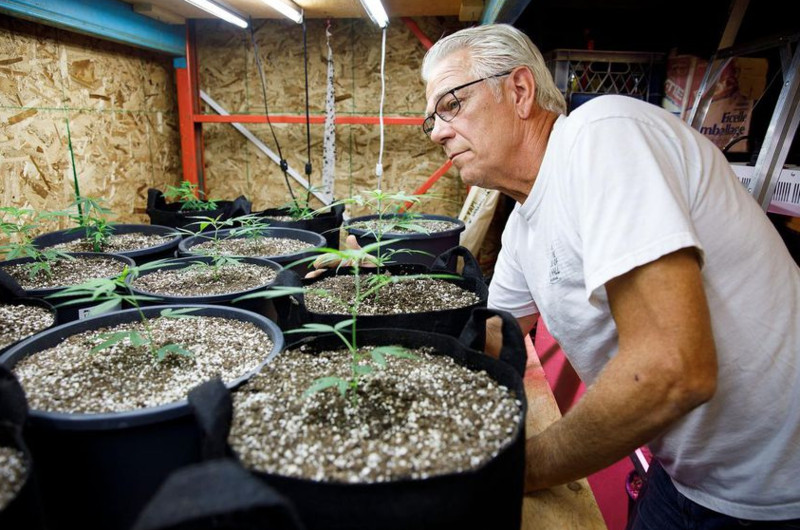 Police consider home grows crime incubators since it’s easy for a hobbyist to go into business. Fire Departments, also with some justification, worry about the high-pressure light bulbs and the elaborate wiring growers use. Nowhere has home grow kicked up more of a stink than in Canada where the newly passed legalization law, C-45, allows for the home growing of four plants. Quebec lawmakers, who have been notably unenthusiastic about legalization, fought unsuccessfully to ban home growing nationally and banned it in its strict provincial law. Manitoba and Nunavut also banned it. The federal law, as passed, does not allow provinces to opt out. Quebec has not ruled out a legal challenge and it’s possible the discrepancy between provincial and federal law will have to be resolved by the Supreme Court. CREA warns that even four plants can damage home values. It has also voiced concerns about home grows gestating mold and other blights. The trade group was not successful, however, in its April call for a national home grow moratorium until national regulations for the practice could be established. In Canada, at least one industry leader has expressed skepticism about home growing. Rather than call for a ban on it, Bruce Linton, CEO of mega-grower Canopy Growth called it “good advertising” for his company, since, in his mind, homegrown product is nowhere near as good as Canopy’s. Some experienced growers, however, disagree about the quality of homegrown product. To them, in order to ensure they consume exactly what they want to, they have to be the ones in control of the growing process. It’s an invasion for the government to consider taking that right away. Lisa Campbell got her medical license to grow in 2013 when she was volunteering on an organic farm which was a designated grow. When she first got permission, she had a small patch of cannabis plants, including an L.A. Confidential strain, which she grew outside her modest trailer. Jason Levin, co-founder of A Pot for Pot, a grow your own kit, says part of the reason home growing is so important now is because laws in California and Canada have cut out midsize growers, leaving primarily huge corporate farms. In Canada, there are a handful of large cultivators who got their starts in the medical market and are expected to dominate the recreational space too. In California, an association of more than 1000 cannabis farmers recently filed a lawsuit against the state’s Department of Food and Agriculture for granting 20 percent of its licenses to just 12 licensees. Meanwhile, experts predict both markets could experience weed shortages—California because it hasn’t opened enough testing facilities to process its legal cannabis and Canada because the supply simply won’t meet the demand. Marijuana consumers—especially patients—don’t want to have to rely on the market amid all this uncertainty. Additionally, many of them prefer to grow their own because, unlike what Canopy’s Linton asserts, they believe they grow better weed than a large corporation. They want to be able to grow the strain that works best for them, how they want to grow it. Many small growers, for example, are passionate about ensuring their bud is organic and sun-grown, something which some believe enhances terpene development. Large corporations often grow their bud indoors. For many too, home growing is deeper than saving some money or ensuring high-quality product. Growing cannabis—like growing anything else in one’s garden—is often described by longtime cultivators as a spiritual experience. Israel has become the first county in the world to grant medical device approval to a vaporiser for the use of medical cannabis extracts and formulations. The Israeli Ministry of Health has granted initial approval as a medical device to the vaporiser used for cannabis oil formulations. The company claims that the combination of the approved vaporiser and the targeted formulations will enable medical cannabis patients to receive more effective, consistent, and accurate dosing and delivery methods than currently accepted medical cannabis treatment methods. Most medical cannabis patients today consume their cannabis by smoking. vaporisers remove the risks of smoking and have been proven more effective than other delivery methods. “This approval is a significant announcement for the medical cannabis patients in Israel who will be able to use the medical vaporiser for the first time. “We expect that due to the transition of most of the cannabis consumers to the use of vaporisers, our company is projected to reach $10 million in sales within three years in the Israeli market, while the Israeli cannabis market is expected to reach $100 million in sales within three years. The Israeli market is a platform to deliver our technology to global markets in North America and Europe. Vaporisers will be available through the co-op. As the number of licensed cannabis producers skyrockets ahead of federal legalization, industry leaders in B.C. fear a “genetics bottleneck” will stop newer growers from acquiring and growing unique strains. Health Canada has doubled the number of licensed producers since last May to 88. But as these new growers sink millions of dollars into facilities, their access to diverse starting materials — seeds and seedlings — is hampered by stringent Health Canada rules that require them to be bought from a legal source, usually an established licensee or through government-approved importation from outside the country. Meanwhile, the illicit market offers an almost-infinite variety of strains, with many cultivated and tweaked over decades by small growers whose unique crops are sought after in dispensaries. Black-market seeds can be ordered online but are not available to the licensees. Jonathan Page, co-founder and CEO of Anandia Labs, a cannabis biotech and testing firm, said the “genetics bottleneck” is particularly troubling for new licensees seeking starting materials that will set them apart from the others, giving them a competitive edge. “On the business side, it’s acute,” said Page, also an adjunct professor at the University of B.C. A new licensee will approach an established one for seeds or seedlings, but the established one may not be willing to part with their best genetics without onerous financial terms such as a contract for royalties, Page said. In its proposed framework for legalization, Health Canada has said it will create license categories for “micro-cultivation,” which would bring small growers on board, and “nursery” cultivation, which would provide a legal source of starting materials and allow development of new varieties. Page believes such measures will help Health Canada toward its goal of quashing the black market, possibly allowing some to cross over from it. But he believes the new system must allow adequate variety to serve the needs of medical patients, who want options so that they can strike the right balance of THC and cannabinoids in the products they use. Cannabis market-tracking website CannStandard counted 263 dried cannabis products from 25 licensed producers as of this month, though thousands more strains exist in the black market. When legalization comes, recreational consumers will call for diversity, too, Page said. Page compared the issue of genetics-sharing to farmers who offer a neighbour some seeds or seedlings from their tomatoes, corn or roses. Abbotsford lawyer John Conroy, who successfully challenged Health Canada on its cannabis rules during the famous Allard case, calls the genetics bottleneck the “first seed” or “God seed” problem. He questioned why black-market growers who have been perfecting a strain for decades should have to abandon that legacy if they wish to legitimize. “They’ve got a seed or a strain that they’re making (products) from and, in the future, it’s going to have to be from a licit source, so the issue is, how do you make that seed or strain legal going forward?” Conroy asked. By now, you’ve probably seen or tried firsthand a vaporizer with an oil cartridge. These portable vaporizers are becoming increasingly popular as they’re easy to dose and operate. Visiting a dispensary, you’ll notice different brands made with different strains, solvents, and additives. Which ingredients are safe, and which ones should be avoided? 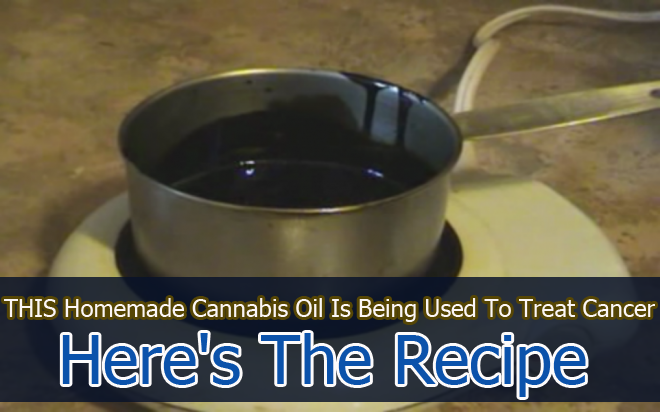 Burning cannabis oils can produce some of the same free radicals that are formed when you burn cannabis or tobacco, which is why people have turned to vaporizing (vaping). 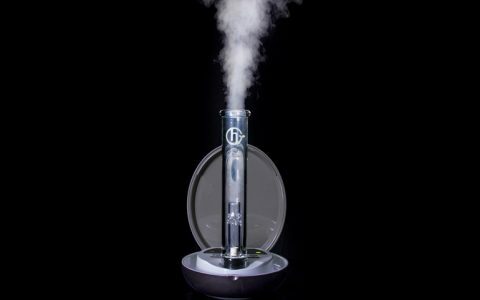 Vaporizing means that cannabis is heated without combustion. Active ingredients are released by the heat into a fine-mist vapor. Since combustion does not occur, smoke is not created. People who vape cannabis perceive vaping to be safer and less harmful to their health than smoking. Cannabis vaporizers are specifically designed for inhalation without harmful smoke toxins, but how safe are materials being inhaled? When vaporized, cannabis oils are frequently mixed with thinning agents for better performance in a vaporizing device. However, when some thinning agents are heated, potentially harmful carbonyl compounds can be produced. Carbonyls are a group of cancer-causing chemicals that includes formaldehyde, which has been linked to spontaneous abortions and low birth weight. A known thermal breakdown product of propylene glycol, formaldehyde is an International Agency for Research on Cancer group 1 carcinogen. Research in this area first began with e-cigarettes. Cannabis and e-cigarettes use different thinning agents and are heated and vaporized at different temperatures, but there are parallels that have now led researchers to begin similar research on cannabis thinning agents. However, there is no research regarding heating of thinning agents in vaporizing devices specifically designed for cannabis. Most research of this nature has been done on e-cigarettes, which have been around for nearly a decade. One of the first studies was a 2015 study in the New England Journal of Medicine that showed hidden formaldehyde in the aerosols of e-cigarettes. In a very recent* August 2017 study, a team of researchers summarized the e-cigarette pulmonary toxicity by looking at human studies, animal models and cell culture studies. They described the field of research as rapidly evolving and identified research gaps and challenges, but warned that when heated to high temperatures, propylene glycol can break down into microscopic polymers that can cause damage to lung tissue. These thinning agents were heated to 230°C (450°F), and scientists tested the resulting vapors to detect the presence of harmful compounds like formaldehyde, acetaldehyde, and acrolein. The results showed that polyethylene glycol 400 produced much higher acetaldehyde and formaldehyde byproducts than the other three agents. Heating of the thinning agent propylene glycol also produced significantly greater formaldehyde byproduct. Researchers concluded that individuals who vaporize cannabis oil utilizing these thinning agents may risk harmful exposures to the byproducts. Furthermore, there has been a lack of adequate safety testing for the vape pen devices. Pre-packaged oil cartridges are not well labeled in some cases, and thinning agents are frequently developed in countries that have no regulatory controls. There are many vape pens on the market, all of which have a different heating source with different activation and temperature. But is there conclusive evidence that vape pen consumers will develop pulmonary illnesses or cancers? No. Very little is known about either short- or long-term effects of inhalation of thinning agents like propylene glycol and others. 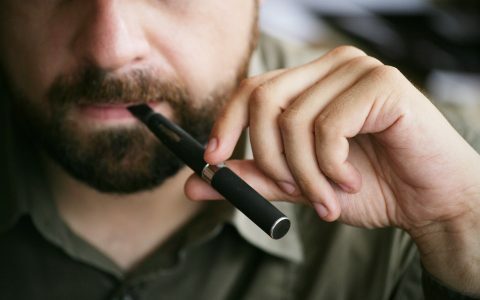 Producers of vaporizer cartridges are making a mass exodus away from these thinning agents due to their health risks and the unpleasant taste they tend to carry. Instead, many are turning to terpenes as they help thin the oil while improving flavor. Others are using different extraction methods such as distillation to achieve an oil thin enough to be consumed in a cartridge without the need for additive thinners. 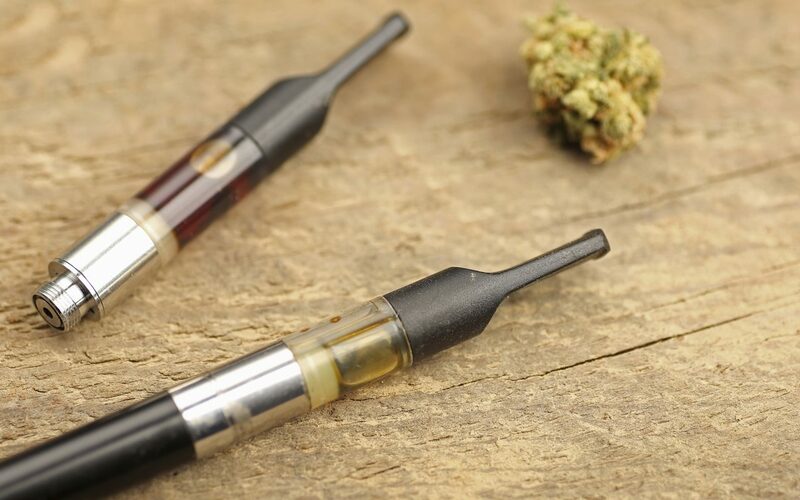 As vaporizing oil cartridges becomes more popular, products specifically designed for this purpose are emerging in the marketplace. When purchasing oil cartridges for your portable vaporizer, check the ingredients to see if propylene glycol and/or polyethylene glycol 400 are listed. If so, you may want to avoid them and reach for an alternative product that utilizes terpenes or more health-conscious thinning agents. *Update 8/22/17: Since the original publication of this article, a new study from the American Physiological Society on pulmonary toxicity was released. It has since been added to this article’s analysis. Medical marijuana carries no health risks and is a useful treatment for epilepsy and palliative care, the World Health Organization has declared. The report, published today, states: ‘There is increased interest from Member States in the use of cannabis for medical indications including for palliative care. ‘Responding to that interest and increase in use, WHO has in recent years gathered more robust scientific evidence on therapeutic use and side effects of cannabis and cannabis components.’ ‘Recent evidence from animal and human studies shows that its use could have some therapeutic value for seizures due to epilepsy and related conditions.’ They concluded that ‘current information does not justify scheduling of cannabidiol’, and declared that taking medical marijuana would not lead to being addicted to it.